We’ve recently updated our website. 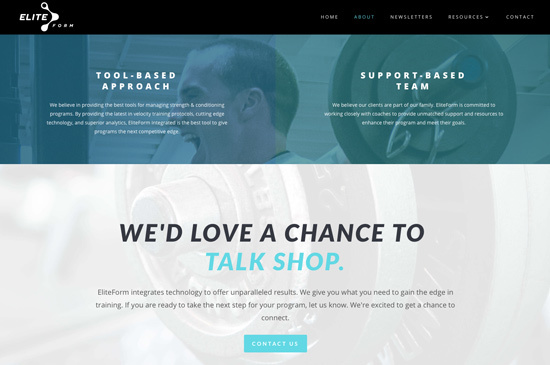 Head over to eliteform.com to stay up on news, products, and updates from the EF world. 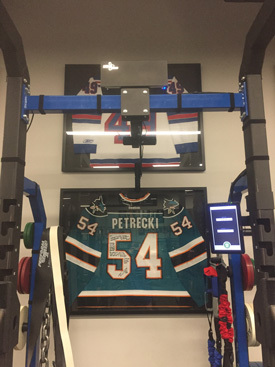 Did an athlete show up unannounced for a lift? 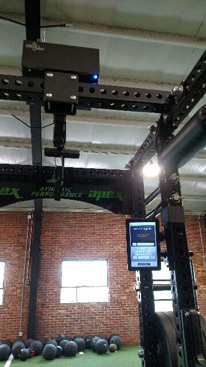 Now you can build a single-day workout from scratch using the touchscreen at the rack. 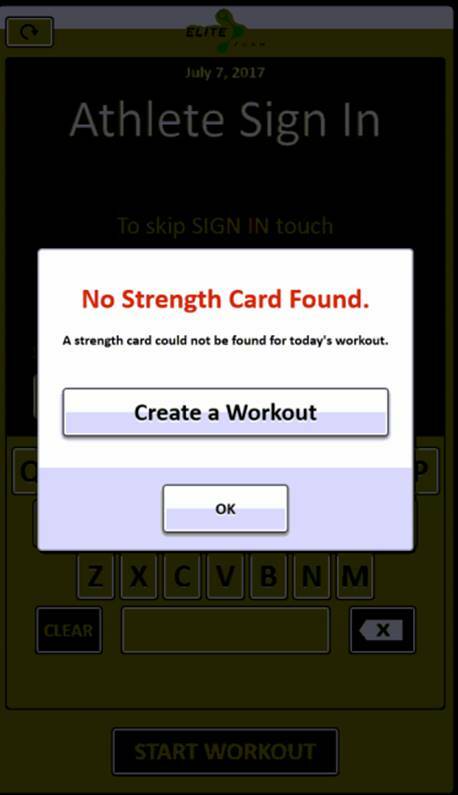 Each exercise is tracked and reported to StrengthPlanner as though it were part of a normal cycle. 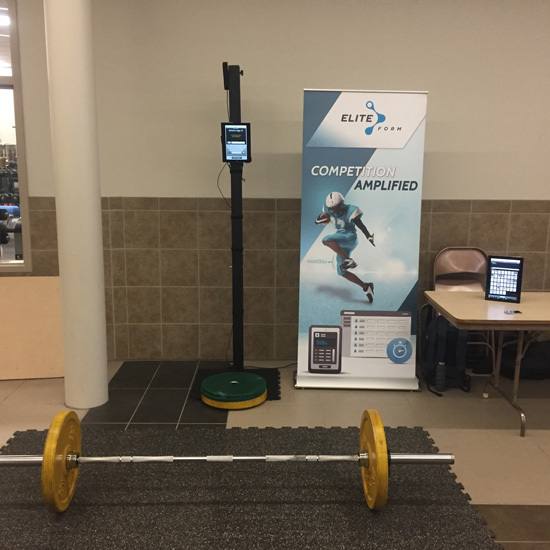 Contact us or email info@eliteform.com for more info or to add the “Create Workout” feature to your Integrated system! 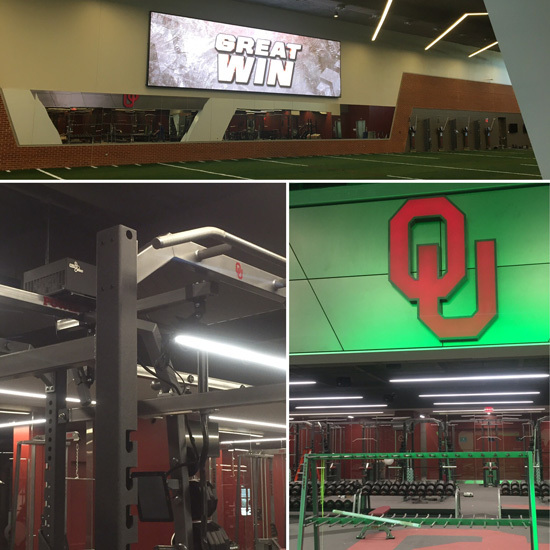 Oklahoma added custom EliteForm Power Lift racks for their new football weight room, combining for a total of 30 Trackers program-wide. OU has been with us since our early days, and we’re honored to have their continued trust and support. 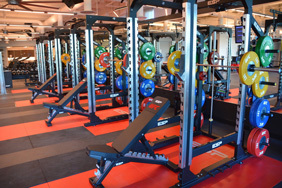 The Ohio State Buckeyes added PowerTrackers and Integrated into their impressive football weight room. If you’ve visited us at any recent events, you may have noticed a new addition to our lineup. 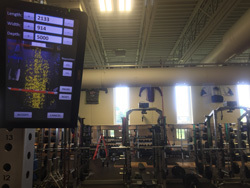 PowerTracker Portable brings mobility and flexibility to your program’s implementation of EliteForm 3D motion capture systems. Mounted easily to a crossbar or mobile stand, Portable can be carried to away games and platform training.